After the sudden death of her ex-husband, Brian, Lauren helps Brian's much-younger widow, Jessica, arrange the funeral and settle his affairs. Although they were once adversaries in the battle for Brian's heart, Lauren agrees to pitch in for the sake of their troubled sixteen-year-old daughter, Emily. But Lauren gets much more than she bargained for when information comes to light about Brian's shady business deals with his old college friend Jordan Connors and the crime lord Jorge Arena, jeopardizing Brian's estate and throwing the women into the world of high-stakes illegal gambling. With only a few days to find out where Brian hid millions of dollars in bonds and in fear for their lives, Lauren, Jessica, and Emily must set aside their differences and work together to secure their inheritance and evade Jorge Arena's murderous crew. 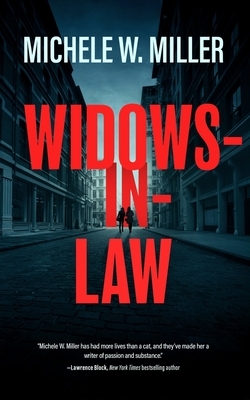 Widows-in-Law is a gripping tale of mothers and daughters, wives and ex-wives, broken and remade families, and unlikely partners-in-crime. Most of all, it is a moving story about the women left behind to clean up the messes men make.